International Journal of Medical Research & Health Sciences. 2013; 2(3): 388-394. Journal of Applied Pharmaceutical Science. 2016; 7(1): 193-198. National Journal of Physiology, Pharmacy and Pharmacology. 2013; 3(1): 82-86.
International Journal of Medical Science and Public Health. 2017; 6(5): 896-900.
International Journal of Reproduction, Contraception, Obstetrics and Gynecology. 2013; 2(4): 626-630.
International Journal of Medical Science and Public Health. 2017; 6(8): 1255-1260.
International Journal of Medical Science and Public Health. 2017; 6(2): 432-435. Journal of Applied Pharmaceutical Science. 2016; 6(7): 027-037. Journal of Applied Biology & Biotechnology. 2015; 3(3): 007-010. Journal of Applied Pharmaceutical Science. 2017; 7(8): 175-182. Journal of Applied Pharmaceutical Science. 2016; 6(2): 072-080.
International Journal of Research in Medical Sciences. 2015; 3(7): 1795-1797.
International Journal of Advances in Medicine. 2014; 1(2): 155-157. Journal of Applied Pharmaceutical Science. 2017; 7(1): 042-050. Journal of Research and Education in Indian Medicine (Estt.1982). 2010; 16(1): 7-17. Acharya R.S. Adhikari S.P. Oraibi S.A. Baidya S.
International Journal of Current Research and Review. 2015; 7(13): 35-42. Journal of Research and Education in Indian Medicine (Estt.1982). 2014; 20(1): 59-65. Nutritional Status of Primary School Children in Pumdi Bhumdi Village of Kaski District, Nepal. International Journal of Health Sciences and Research (IJHSR). 2015; 5(5): 339-346. Journal of Research and Education in Indian Medicine (Estt.1982). 2012; 18(2): 65-71.
International Journal of Current Research and Review. 2013; 5(6): 31-35. Pattern of Clean Practices during Intra-natal Care at Home Delivery in Rural Nepal. International Journal of Health Sciences and Research (IJHSR). 2013; 3(11): 31-37. Veterinary World. 2011; 4(4): 189-192.
International Journal of Medical Research & Health Sciences. 2015; 4(1): 110-117.
International Journal of Reproduction, Contraception, Obstetrics and Gynecology. 2013; 2(1): 35-38.
International Journal of Current Research and Review. 2015; 7(23): 14-20. Nutritional Status and Body Image Dissatisfaction among Adolescent Girls in Kaski District, Nepal. International Journal of Health Sciences and Research (IJHSR). 2015; 5(6): 462-469. Journal of Applied Pharmaceutical Science. 2017; 7(10): 131-137. Cardiovascular Risk In Type 2 Diabetes Mellitus With Metabolic Syndrome: A Hospital Based Pilot Study. International Journal of Health Sciences and Research (IJHSR). 2015; 5(8): 296-302. Physical, Dietary and Personal Factors Associated With Overweight and Obesity among Higher Secondary School Level Adolescents in Kaski District, Nepal. International Journal of Health Sciences and Research (IJHSR). 2015; 5(4): 241-247. Knowledge on Newborn Care among Postnatal Mothers. International Journal of Health Sciences and Research (IJHSR). 2015; 5(4): 202-207.
International Journal of Clinical and Biomedical Research. 2015; 1(2): 31-36. Hygiene and Sanitation Practices among Slum Dwellers Residing In Urban Slums of Pokhara Sub-Metropolitan, Nepal. International Journal of Health Sciences and Research (IJHSR). 2015; 5(5): 298-303. Journal of Applied Pharmaceutical Science. 2017; 7(6): 105-110. Journal of Contemporary Medical Education. 2014; 2(2): 91-96. Health Problems of Women above Forty Years of Age in Rupandehi District of Nepal. International Journal of Health Sciences and Research (IJHSR). 2013; 3(3): 29-36. Journal of Applied Pharmaceutical Science. 2017; 7(5): 12-17.
International Journal of Research in Medical Sciences. 2015; 3(9): 2210-2213. Success of School Dental Health Programs - A Review. International Journal of Health Sciences and Research (IJHSR). 2015; 5(4): 295-302.
International Journal of Current Research and Review. 2013; 5(17): 16-23. Starting Deep Brain Stimulation in Nepal: Initial Experience and Result. International Journal of Health Sciences and Research (IJHSR). 2016; 6(4): 444-449.
International Journal of Reproduction, Contraception, Obstetrics and Gynecology. 2014; 3(1): 185-188.
International Journal of Basic & Clinical Pharmacology. 2016; 5(3): 1017-1021. Journal of Applied Pharmaceutical Science. 2016; 6(6): 020-025.
International Journal of Basic & Clinical Pharmacology. 2015; 4(2): 322-324.
International Journal of Reproduction, Contraception, Obstetrics and Gynecology. 2015; 4(1): 189-194.
International Journal of Basic & Clinical Pharmacology. 2016; 5(5): 2143-2145.
International Journal of Reproduction, Contraception, Obstetrics and Gynecology. 2015; 4(2): 322-328. Journal of Applied Pharmaceutical Science. 2016; 6(10): 055-062.
International Journal of Basic & Clinical Pharmacology. 2014; 3(5): 912-913.
International Journal of Reproduction, Contraception, Obstetrics and Gynecology. 2013; 2(3): 478-479.
International Journal of Basic & Clinical Pharmacology. 2013; 2(6): 742-746. Journal of Complementary Medicine Research. 2015; 4(4): 270-276. National Journal of Physiology, Pharmacy and Pharmacology. 2017; 7(8): 797-801.
International Journal of Basic & Clinical Pharmacology. 2014; 3(4): 726-728.
International Journal of Basic & Clinical Pharmacology. 2016; 5(3): 865-868.
International Journal of Reproduction, Contraception, Obstetrics and Gynecology. 2015; 4(1): 224-228.
International Journal of Basic & Clinical Pharmacology. 2016; 5(3): 1134-1137.
International Journal of Advances in Medicine. 2016; 3(2): 171-175.
International Journal of Advances in Medicine. 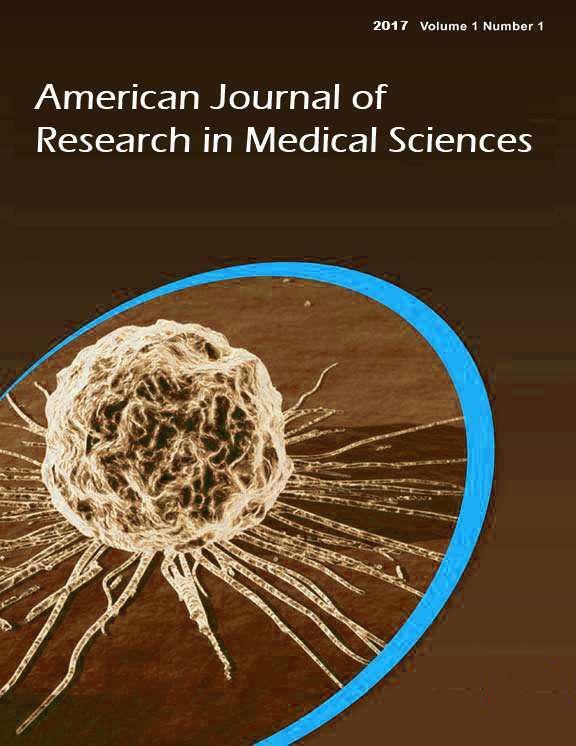 2015; 2(1): 74-75.
International Journal of Research in Medical Sciences. 2015; 3(10): 2694-2697. National Journal of Community Medicine. 2017; 8(3): 127-130. Journal of Applied Pharmaceutical Science. 2015; 5(12): 061-066.
International Journal of Community Medicine and Public Health. 2016; 3(12): 3515-3519.
International Journal of Advances in Medicine. 2015; 2(1): 47-50.
International Journal of Research in Medical Sciences. 2016; 4(9): 3733-3736.
International Journal of Basic & Clinical Pharmacology. 2014; 3(5): 918-920.
International Journal of Advances in Medicine. 2015; 2(1): 56-59.
International Journal of Basic & Clinical Pharmacology. 2016; 5(6): 2332-2335.
International Surgery Journal. 2016; 3(4): 1933-1936.
International Journal of Reproduction, Contraception, Obstetrics and Gynecology. 2013; 2(3): 414-418.
International Journal of Contemporary Pediatrics. 2015; 2(1): 21-24. National Journal of Physiology, Pharmacy and Pharmacology. 2017; 7(11): 1224-1229.
International Journal of Research in Medical Sciences. 2015; 3(11): 3402-3405. Annals of Ayurvedic Medicine. 2015; 4(3): 107-116.
International Journal of Advances in Medicine. 2016; 3(2): 225-228.
International Journal of Advances in Medicine. 2016; 3(1): 47-52.